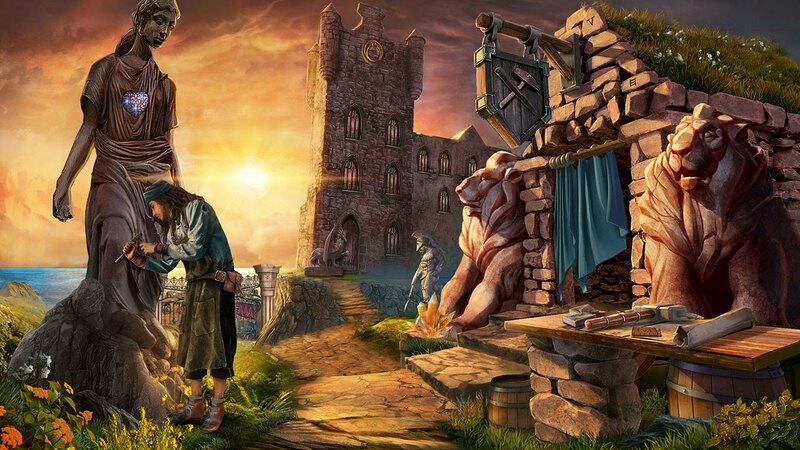 Bridge the domains of reality and those beyond the border of fiction with Nevertales: Hidden Doorway! Step into the shoes of Helen, a woman whose boyfriend Ian went missing while on a scholarship program with a famous novelist. You go to his mansion and try to find him, but you end up entering a realm where fictional stories became real worlds. Inside, you begin your desperate struggle to find Ian and take him back to reality before it is too late. But the worlds on the other side of the hidden doorway pull you in. Will you manage to find your true love or will both of you be lost for good? The stone circle awaits the brave! Use Ian's novel to change the story in your favor. Retell your story with wallpapers, profiles, and music. "I am always pleased with the creativity the series’ developers show and this latest entry makes no exception, on the contrary: it proves that you can still deliver smart, beautiful stories that are original and can keep the player hooked from start to finish." " 10 minutes into the trial I knew I had to have this game! Love all their others, love the challenges that make me lose track of time, make me think."